Jameson & Mackay privacy notice; information for our clients. Jameson & Mackay will be a “controller” of the personal information that you provide to us when you instruct us to act on your behalf, unless otherwise stated in this privacy notice. 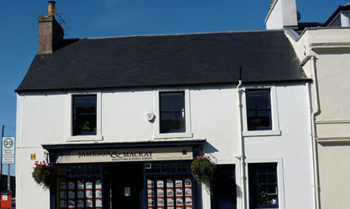 When you become a client of Jameson & Mackay we will collect, store and use the personal information that you provide to us in your instructions and during the course of our solicitor / client relationship. We may ask you for additional personal information during the course of our client / solicitor relationship, which shall be collected, stored and used in accordance with this privacy notice. invite our clients as guests to our events. [email protected] If we comply with your objection, this may affect our ability to undertake tasks for the benefit of you as a client. We may be required to share personal information with statutory or regulatory authorities and organisations to comply with statutory obligations. Such organisations include for example – the Law Society of Scotland, HMRC, Revenue Scotland. 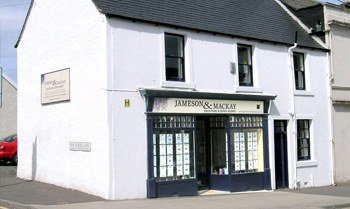 Jameson & Mackay employs third party suppliers to provide services, including IT, the marketing of property, the provision of searches and reports, etc. in relation to the matters you have instructed us to carry out on your behalf. These suppliers may process personal data on our behalf as “processors” and are subject to written contractual conditions to only process that personal data under our instructions and protect it. recipients shall only process the disclosed personal data in accordance with those purposes. Your personal information is stored on our electronic filing system and our servers based in the UK, and is accessed by us or our staff for the purposes set out above. Our Data Protection Policy provides that all client data held by us is kept in a form which permits identification of data subjects for no longer than is necessary for the purposes for which the personal data are processed. Jameson & Mackay holds data principally in one or both of two forms; digital and paper records. Paper records comprise individual files held relating to a work carried out on the instructions of our clients. 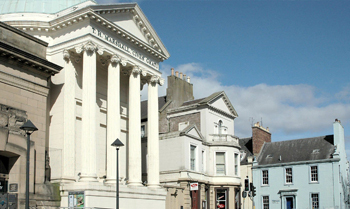 Paper records are retained by us for a period of ten years, following the recommendation of the Law Society of Scotland in relation to such records. restricted to Jameson & Mackay and its employees and is password restricted. Digital records may be held by Jameson & Mackay for an indefinite period to enable retrieval of transactional information as and when required by Jameson & Mackay or our clients.